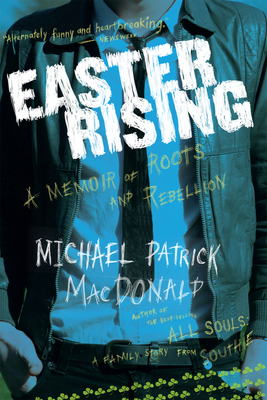 In All Souls, Michael Patrick MacDonald told the story of the loss of four of his siblings to the violence, poverty, and gangsterism of Irish South Boston. In Easter Rising he tells the story of how he got out. Desperate to avoid the “normal” life of Southie, Michael reinvents himself in the burgeoning punk rock movement and the thrilling vortex of Johnny Rotten, Mission of Burma, and the Clash. At nineteen MacDonald escapes further, to Paris and then London. Out of money, he contacts his Irish immigrant grandfather -- who offers a loan, but only if Michael will visit Ireland. It is this reluctant journey “home” that offers MacDonald a chance at reconciliation -- with his heritage, his neighborhood, and his family -- and a way forward. Michael Patrick MacDonald helped launch Boston’s successful gun-buyback program and founded the South Boston Vigil Group. He has won the American Book Award, a New England Literary Lights Award, and the Myers Center Outstanding Book Award. His published works include All Souls and his highly acclaimed memoir, Easter Rising.